‘July was a very bad month for LDA. There was very heavy rainfall and the school filled with two feet of mud when the Rispana River broke its banks and flooded the neighborhood; this mud isn’t clean, it’s full of garbage from the overflowing river, and with water borne diseases. We waited until the water had receded and then all KHEL’s staff got together and with some additional cleaning help, cleaned very thoroughly so it would be a safe environment for the children to come back to. It was a big mess, but we finally were able to get it all cleaned. Schools reopened later than usual due to the heavy rains, which was good because we needed the additional time to get the school ready for the children. During August, schools were again closed for a few days by the government, due to the continuing heavy rains. The Indian government occasionally makes new regulations to help poor and underprivileged people. 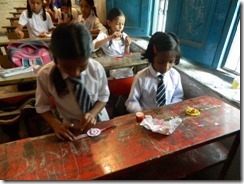 The Right to Education (RTE) mandates that all children have the right to an education. 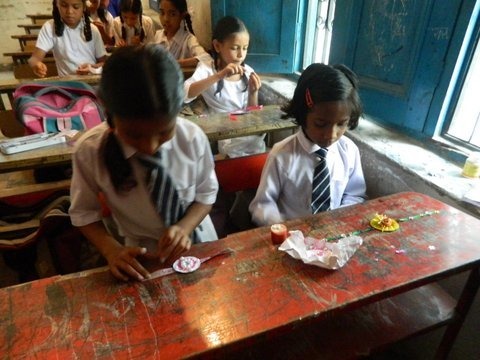 Although we are all happy that the work we do at LDA, providing an education to children in difficult circumstances, is now something that is available to all children in India, it is very hard work to get registered with the Uttarakhand government – now we must prove that we are complying with the RTE rules. Manohar, our Community Outreach Coordinator, and Beni, our General Manager, are working hard to file all the paperwork with Uttarakhand’s Education Department. We are all helping as much as we can so that soon LDA will have this official status. We’ve had some changes in our teaching staff. Last July we had hired a good teacher with a Bachelor’s degree in Education. She was offered a better salary at another school and so has resigned. We hired another good teacher with the same degree, and she was doing very well; but, after hiring, she demanded a larger salary which we are not able to provide, so she also has resigned. We have just hired a new teacher, Mrs. Bhandari, and she’s doing a good job. Hopefully she will stay with us for a longer time! 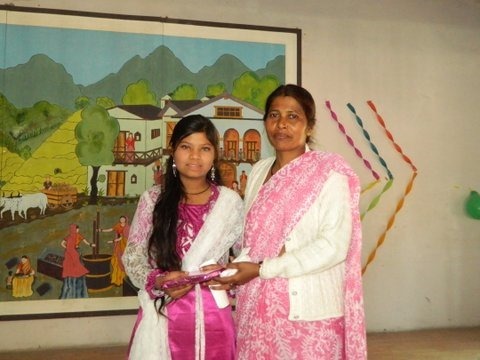 Kusum Negi, our Maths and Science teacher, also left, but we replaced her with Miss Mamta Yadav who has a B.Sc. ; she’s doing a good job, too. 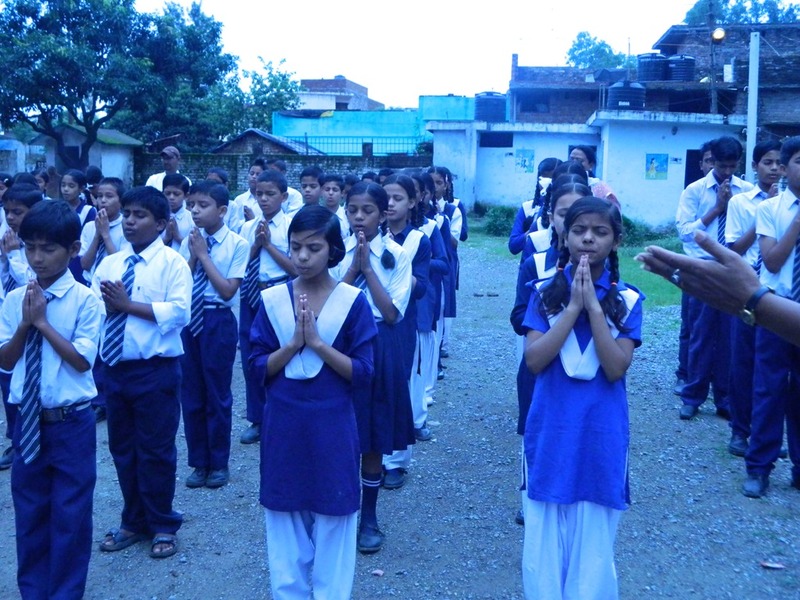 It is difficult to keep good teachers because KHEL cannot afford to pay larger salaries. [local area surrounding Rispana River], and Mr. S. Rabbani, a social worker, jointly raised the flag. The school children sang some songs and were given a treat. 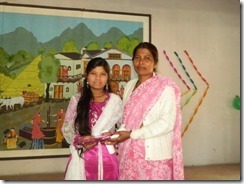 Mr. Sajwan spoke about the flooding disaster and Beni read a message from Ammaji. After that, we dismissed the children for the day.